The cookie had a good taste and the chocolate is very strong but not too overpowering, the texture was okay not quite the same as a normal protein free cookie, they did have a slight gritty texture which I think was down to the amount of protein in the cookies but it wasn’t enough to make me dislike the taste. It isn’t a very sweet taste nor is it too sickly so if you have a sweet tooth this might not be for you! I found that it is quite a filling cookie and definitely keeps me going and full for ages which is good for after the gym etc. I also liked the fact that it felt like I was treating myself but without all the added bad bits! I would say that the cookie might not be to everyone’s taste as it isn’t your regular non protein filled cookie and it doesn’t have that “Crunch” that I would normally look for in a cookie but overall I wasn’t impressed with the taste. 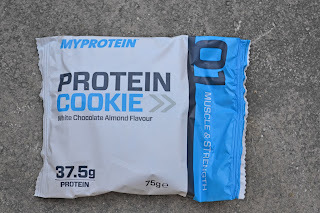 Overall both my sister and dad were impressed and said they would try them again, at my protein they do have different flavours of cookies which include; Chocolate orange, double chocolate, and the one I received white chocolate almond. 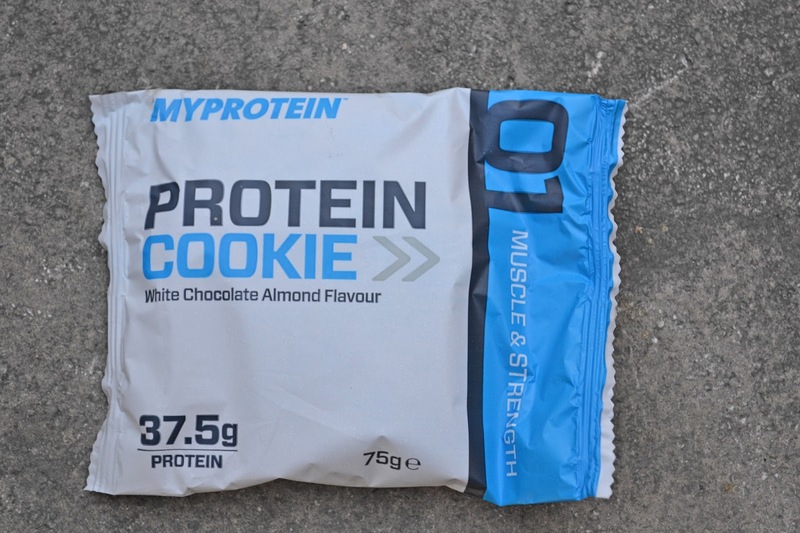 This is available from my protein for £1.99 for 1 cookie which I do think is quite expensive when you do compare it with a normal cookie but it does have all the added benefits. Have you ever tried a protein cookie? Let me know your thoughts in the comments below. what flavours are your favourite? My sister and dad both really liked them and said that they kept them full for ages! I've never tried a protein cookie but they sound great as I imagine that they'd fill you up a lot. My dad said they were really filling and a great healthy alternative to keep you going!